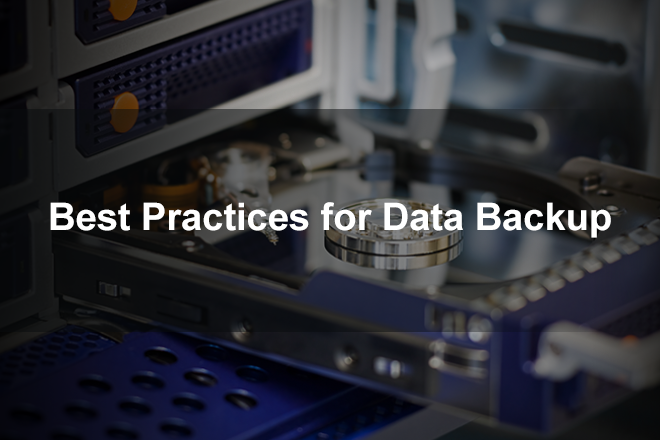 Backups should not be on the same physical storage as your database files. Having the database backup on the same physical drive as the database itself is not a particular good idea, because in case something bad happens to the drive you lose both your database and your backup. Set up schedules to automate your backups. These schedules will provide you an exact history of your data with the frequency you specify, depending on the business needs of your application or company, the importance of your data or other particular factors. Use a test server to verify the restore procedure of your backups. Another item in the list of backup best practices is to frequently do a restoring test with all of the options you are going to use in a real-life scenario, on a test server. This will minimize the chances that you are caught off guard in the event of an unfortunate situation. Test your recovery strategies. The success of a company is determined by its ability to quickly respond to changes. Although backup strategies are created to cover a full array of events, with time, they might become out of date. This is why, periodically, you should take the time and go over all of the scenarios and see if there are any new elements that should be introduced in your specific strategy. Use all available verification options during backup process. This will help you be sure that all of the backups that you create will be created correctly and will be consistent from a transaction point of view. Do transaction log backups even more frequently and back up system databases as well. Transaction logs actually contain all the recent activity that has occurred in the database, it can be used to make a restore of the database to a specific point in time, and this is its biggest advantage! Backup your most sensitive data to tape. This might not be a very common situation, but if your organization wants to be fully protected against data loss, then be sure to backup the data that it cannot afford to lose to tape. Tape is much more resistant to physical shock than disk drives and due to this it has a major advantage. Following these best practices will keep you and your data protected. If you are going to incorporate these backup best practices, if not all then at least a few in your backup process you will eventually find the best combination of tools and tricks that will make your process more efficient and your data will be more safe.